My competition to win 6 Picture Books has prompted some wonderful comments about reading with young children. Lots of the comments suggested that parents were always keen to find new books to share with their children. I have already written a post sharing my top books for under 5’s so I thought this time I would ask my children. 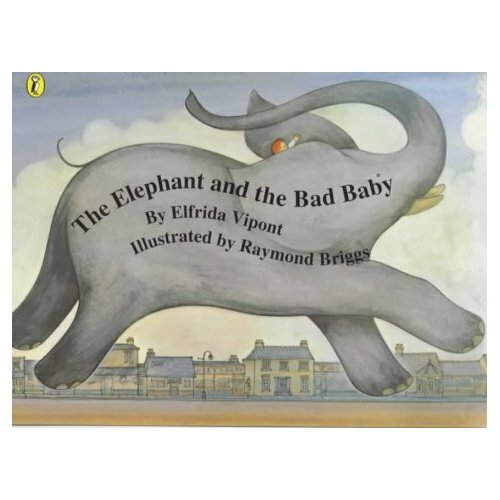 The Elephant and the Bad Baby by Elfrida Vipont and Raymond Briggs. This was my 7 Year olds favourite book when she was 2. We read it again and again and the repetitive text almost drove my husband bonkers. When my middle child was 2 she latched onto it also and it became a firm favourite. The first part of the book is repetitive and it is easy for the children to learn it by heart and join in with the story, especially the ‘rumpeta,rumpeta rumpeta as they go down the road. The message behind the story is the importance of saying please and it does this in a charming and humourous manner. Both my children have loved the page with the baker’s shop, looking at the cakes and deciding which one they like best. I’m sure it is a book you will find your young children ‘reading’ by themselves before long even if they are unable to read. This was my 3 year olds choice. Her dad read it to her recently and said ‘What a lovely book, why haven’t I read this one before?’ (his other favourite is The Snail and the Whale by the same authors). 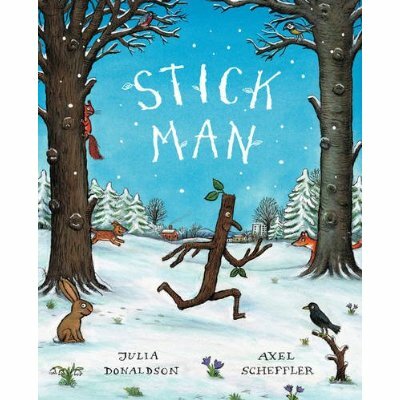 Written by the authors of the Gruffalo , this rhyming book is about a Stickman who gets himself into situations because he keeps getting mistaken for a stick. He is desperate to get back to his family and is losing hope when he meets Father Christmas who lends a helping hand. This was one of the books from my 7 year olds Bookstart Treasure Chest. This soon became the one book we read every evening until I became so sick of it and I would plead with her to choose something else. She is still very fond of it and it is one of the few picture books she refuses to pass down to her younger sister. 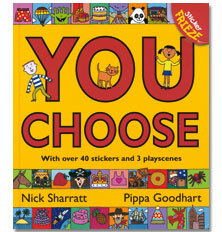 Each page asks a question such as if you could have any house what sort of house would you choose? Then you choose the one you like best from the illustrations. Nick Sharratt’s illustrations are lovely and it is a great book to stimulate discussion but in our house it was a little over read! This is not strictly for under 5’s, my 7 year old chose it and I’ve allowed it in the list because we first read it together when she was 4. 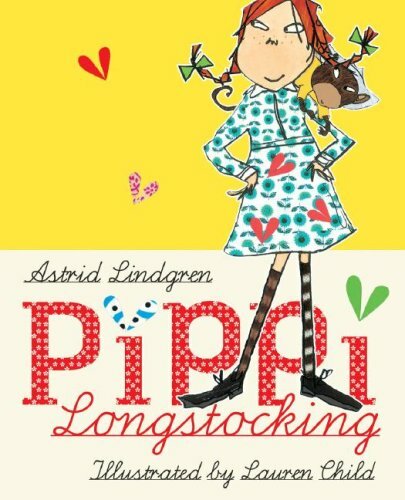 Pippi Longstocking is a very witty and insightful book and you will get a lot out of it as an adult too (in a similar way to Winnie the Pooh). There are a few books that stand the test of time and this is one of them. My daughter’s copy has been so well read it is falling apart but when I offered to replace it with a new copy she declined my offer. There is a Charlie and Lola story about a library book that Lola is fixated with and takes home every time she visits. This was the book that my 7 year old borrowed from the library time and again until finally the library sold it off because it had become too shabby. We bought it for 30p. It is a beautiful rhyming story about sharing and friendship and helping others. We lost our copy a few years back after I used it at work . My 3 year old found a copy at our doctors surgery, we read it together and I explained that it had been her sister’s favourite. She loved it too. When my 7 year old suggested this one she beamed and said’Oh I love that one’ running to her bookcase to get it. I explained that we didn’t have it anymore. Writing this has prompted me to buy a replacement copy and I will enjoy reading it to my 2 younger daughters.